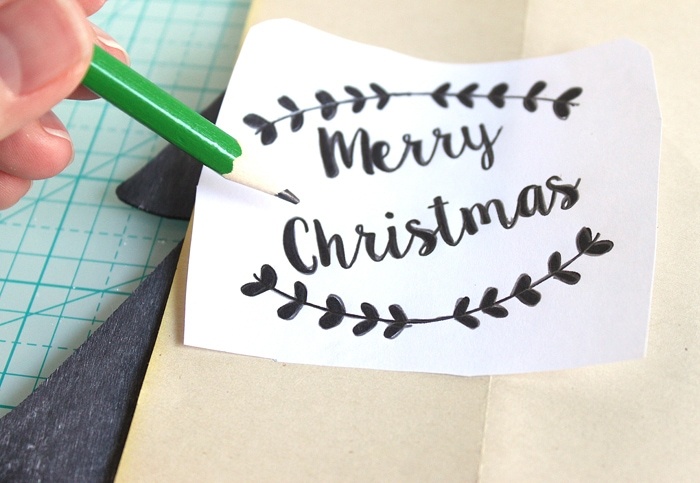 Today I’ve got a little DIY Christmas decoration to share with you all. 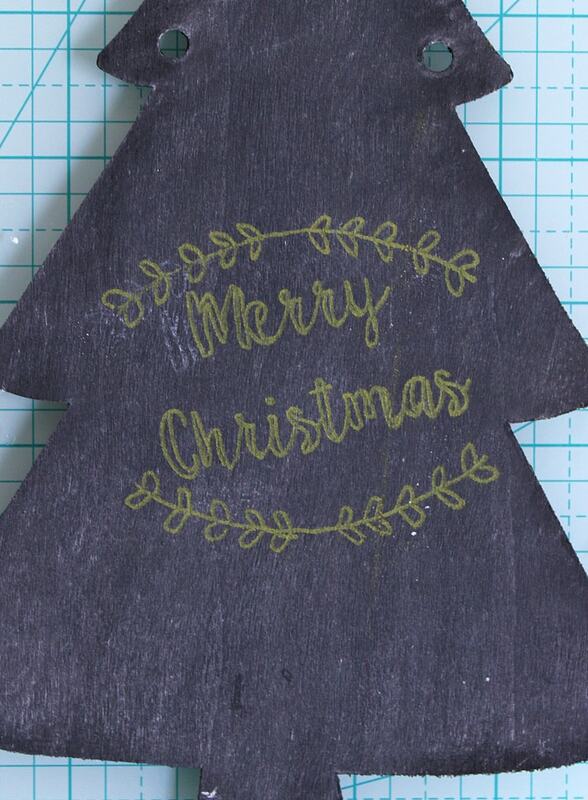 When I did this chalkboard countdown post for ConsumerCrafts a couple weeks ago, they sent me a huge box of supplies to play around with. I’m always game for free craft supplies! In fact, I think I might be a little bit of a craft supply hoarder. My walk in closet is full of craft supplies instead of clothes. Haha! Anyone else there with me? Anyway, there was this wreath in the box, so I thought I’d try to make it cute. 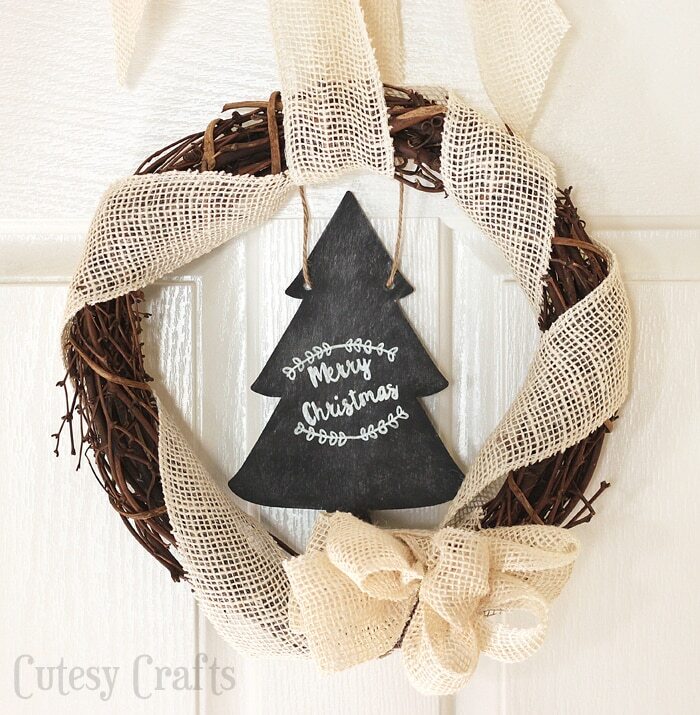 Confession time; I’ve never made a wreath in my life. It was a bit of a challenge for me to come up with something, but I had fun with it. So here it is, my very first wreath. 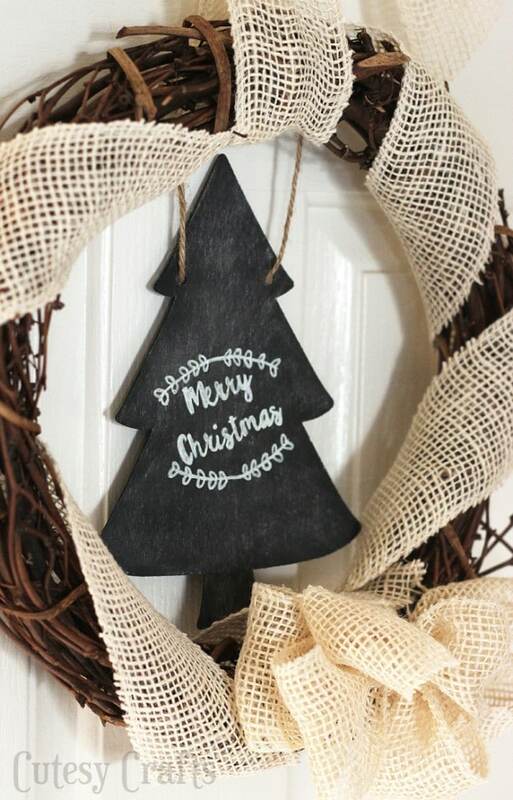 I wanted a chalkboard message on the wreath, so I simply traced the words “Merry Christmas” onto this wooden Christmas tree. I wrote it with a paint pen so it would be permanent, but you could totally use chalk to change up the message. 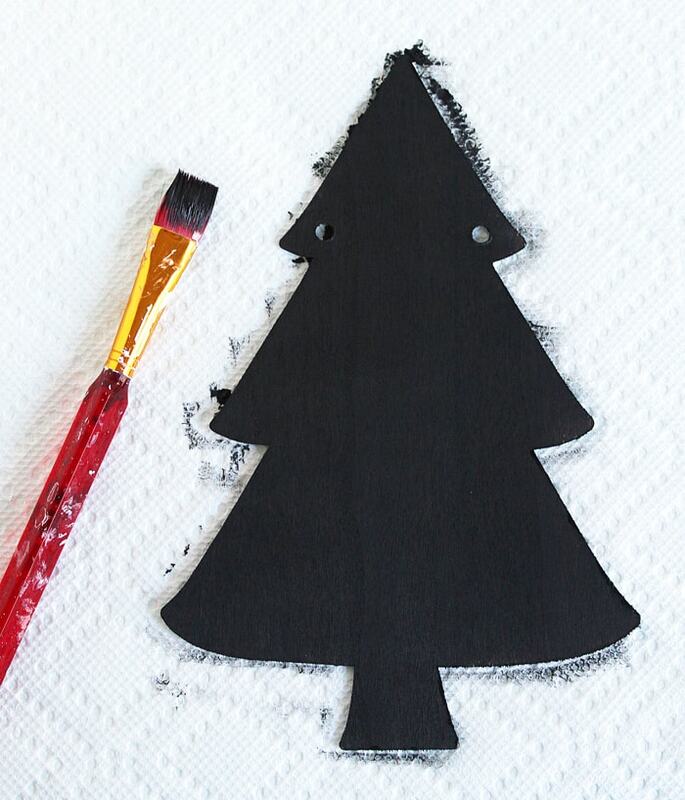 Paint one of the Christmas tree pennants with two coats of chalkboard paint. 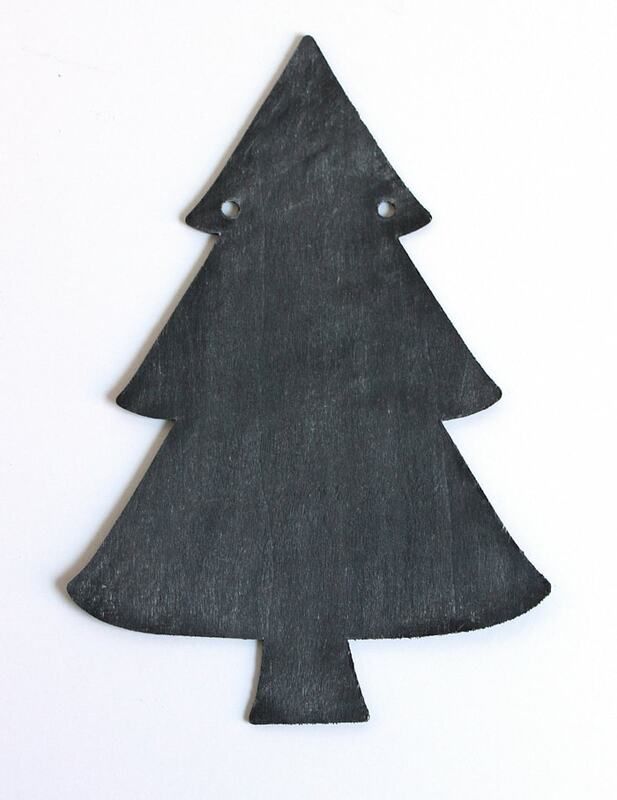 You can really just use any flat black paint since we aren’t using it as a chalkboard. Once the paint is dry, prime it by rubbing the side of a piece of chalk on it. 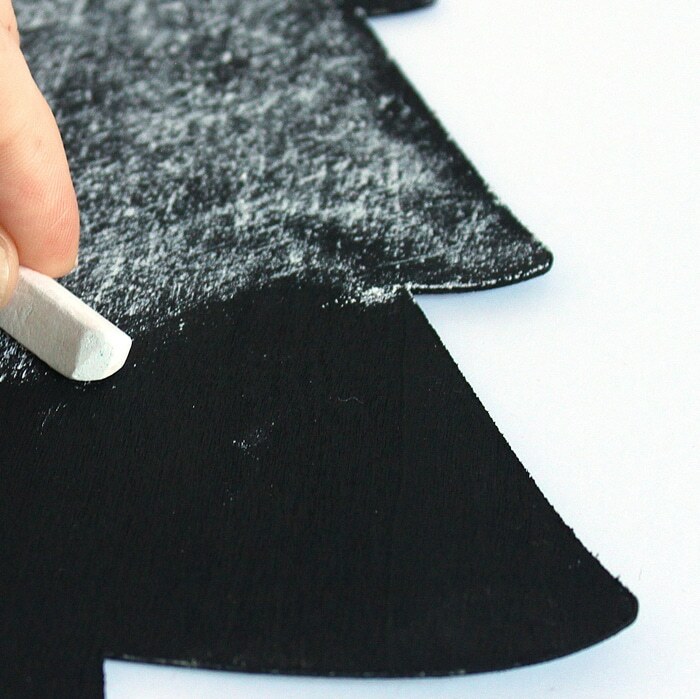 Wipe off the excess chalk with a cloth. Again, we aren’t really using it as a chalkboard, but I still wanted it to look like that’s what it is. Put the carbon paper on top of the tree and then place the printed words on top of that. Trace the design firmly with a pencil. I already had yellow dressmaker’s carbon paper, so that’s what I used. It came with my sewing supplies, so you should be able to find some at the fabric store. If you can find white, use that instead. This still worked fine since I was tracing over it with a paint pen. 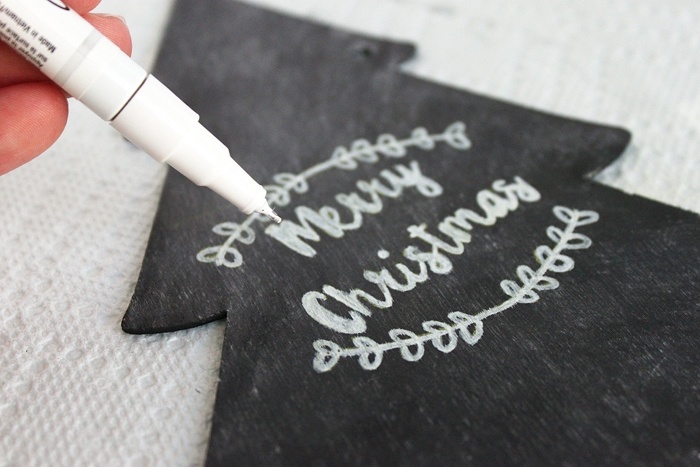 Write over the tracing with a white acrylic paint pen. Make sure it has a fine tip, so you can see the details of the small letters. 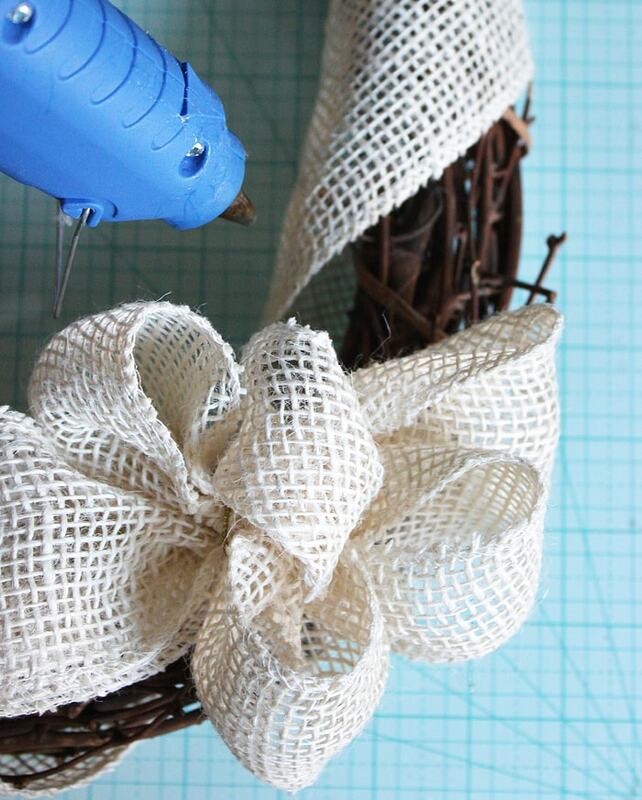 Use the burlap ribbon to make a poofy bow. Hot glue it on the front. 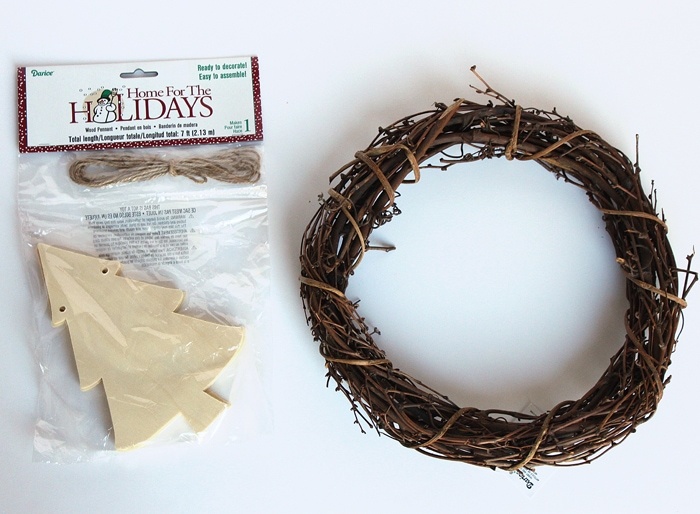 Wrap some more burlap ribbon around the wreath and secure both ends behind the ribbon with hot glue. Cut another piece of ribbon and tie it in a loop around the top for hanging. 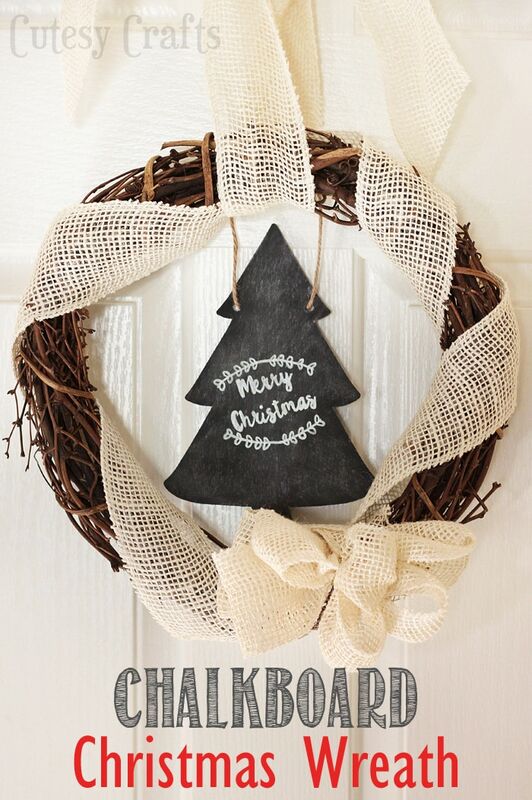 String the chalkboard Christmas tree on some twine and hang it in the middle of the wreath. That’s it. Not too hard to make, and it looks so great on the door! What do you think? Not too bad for my first wreath, right?